A snoring mouthpiece can be tailor fitted to your size to provide you with best comfort. Talk to a specialist today to ask about creating a snoring mouthpiece modified for you. Snoring can be a real bother during the late hours of the night, especially to people with whom you share a bedroom. Did you ever have to prefer sleeping in a different room so that your snoring problem does not trouble anyone within hearing range? Or does it already trouble you, when you wake up in the middle of the night and catch yourself snoring loudly. Whatever the case may be, you can get your relief from an anti snore mouthpiece. What is an anti snore mouthpiece? The snoring mouthpiece is one of the simplest snoring solutions created to aid people who are bothered by snoring. This anti snoring device is simply inserted into the mouth and it will do its work to properly position the jaws and align it. It places the jaw at a proper position so as to help clear the airway from any obstruction. When the air passes freely without blockage, there is no vibration and thus no snoring. With the increase in anti snoring devices created today, it shouldn’t take too long for you to find these products in stores. The real challenge however is in knowing if you’ve found the right snoring mouthpiece for yourself. Here are a few pointers to help you pick the snoring mouthpiece that suits you best. 1. What is the material of the product? Knowing the type of material is crucial when looking for comfort in the product you will use. There are three main types of materials used in making a snoring mouthpiece. First there are those made of thermoplastic vinyl, by far the most common material used in most anti snoring mouthpieces sold online. 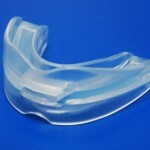 A snoring mouthpiece made from thermoplastic vinyl can be easily molded according to the shape of your teeth. However, one drawback that users report from this material is that there may be some discomfort to the user when the material begins to harden behind your teeth. This is due to the pressure exerted toward the teeth as the material takes shape. 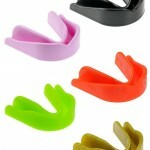 There are also snoring mouth guards made of non-thermoplastic vinyl. Because of its tough quality, you cannot mold this material by yourself. It can only be molded with the use of special equipment, which is why snoring mouth guards made of this material are sold in one size that fits all. Lastly, there are snoring mouthpieces made of acrylic. This material is a little bit less stiff but easier to mold than non-thermoplastic vinyl. It’s more like a cross between the characteristics of thermoplastic and non-thermoplastic. You should know what results to expect from each material. A specialist must be the one to advice you about that so you get the best possible treatment for your condition. There are only two options to choose from as you decide the fit of your mouthpiece. A snoring mouthpiece can either be a standard size for all or tailor fitted for your size. 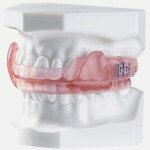 If you think you have no need for special modifications, you can try on a standard-sized snoring mouthpiece. If you wish to have a mouthpiece modified to your size, you should consult a professional who can help you by imprinting the shape of your teeth and mouth. When you decide on what snoring mouthpiece to buy, remember that you’re going to have to wear it on while you sleep so being comfortable with it is very important. At first, it’s normally going to take some getting used to. A little discomfort is normal at the beginning but if you experience continued extreme pain, you have to discontinue the use of the product and go look for a snoring mouthpiece best recommended by your doctor. Lastly, do not ever lose the importance of considering whether the product was made from a trusted brand or not. Do your research by searching for the top snoring mouthpieces online. A product with good quality can promise good results and that’s always worth the price you pay. Do not risk using products without any seal showing if it has passed inspection and factory standards. Remember, it’s your health on the line and it’s always better to be safe than sorry. A snoring mouthpiece is only one of the many snoring solutions you can find on the market. Understand that the use of a snoring mouthpiece may also have a few minor drawbacks as with the rest of the anti snoring devices. Weighing down the pros and cons of each anti snoring device to another will help you arrive at the best option that’s more aligned with your needs.